Time to give the Wii U a whole new image? Is a shift in company culture in order? 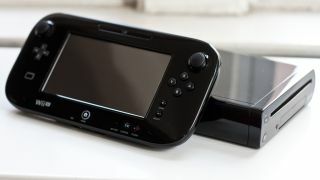 With Nintendo facing woeful Wii U sales, there have been plenty of calls from experts and gamers alike for the company to throw in the towel in terms of hardware and focus on the software instead. But not everyone has lost faith. Piers Harding-Rolls, head of games at analyst firm IHS, told TechRadar that "calls to exit the hardware market are misguided," adding that "Wii U's failure to sell is as much to do with the product, its content and the lack of successful marketing as it is to do with a change in consumption habits." One solution that Nintendo has been exploring is smart devices, though it says it won't just be putting its games on your phone just yet. "In the short term there remains more the company could be doing in terms of extending its content and services to other connected devices – something it has tested with the Miiverse smartphone browser," said Harding-Rolls. "Connecting with consumers across smart devices is an important strategy for maintaining interest in Nintendo's own hardware." "The experience is just not streamlined at the moment, which means that the devices are less compelling than they should be to consumers that are used to responsive and highly usable devices." Nintendo has confirmed that it's looking into a new business strategy going forward in order to keep up with the changing face of gaming. "It looks like Nintendo will have top go through an extended period of investment in new skills, technologies and R&D to successfully reposition itself in the market and to make these changes," said Harding-Rolls. "The company culture may well have to make its own transition." Could it still be working on that rumoured Android tablet?